After Saturday night's warm up to #EpicBeerSunday at Redlight Redlight, my wife and I woke up prepared for a day of pure awesomeness! We waved goodbye to the terrific Hyatt Regency Orlando around 9:30 with our eyes set for the Noon O'Clock opening of Tequesta Brewing Company. And it's a good thing I suggested a coffee break at Dunkin' Donuts on the way down or we would have been early! We made it just as ridiculous storm clouds dropped buckets of rain on Tequesta. But whatever, we were dry. 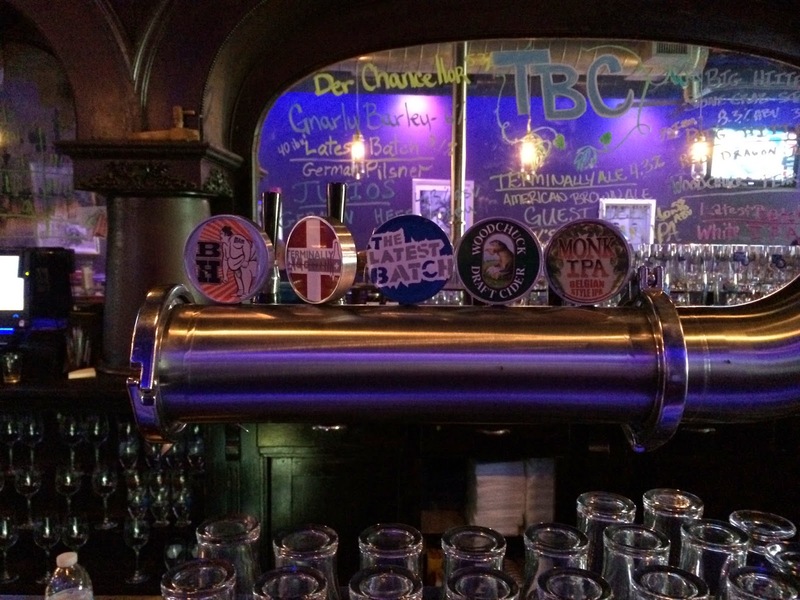 We sat down mid-bar, asked our Bartender Tommy about Beer Flight options, and at that moment, #EpicBeerSunday began! We were informed that flights included 6 options and that they had 8 on tap, so you know decisions were going to be made! I can't remember the two we dropped but we made good choices. Tommy had just started his shift and already we were asking about flights. But it didn't stop there. 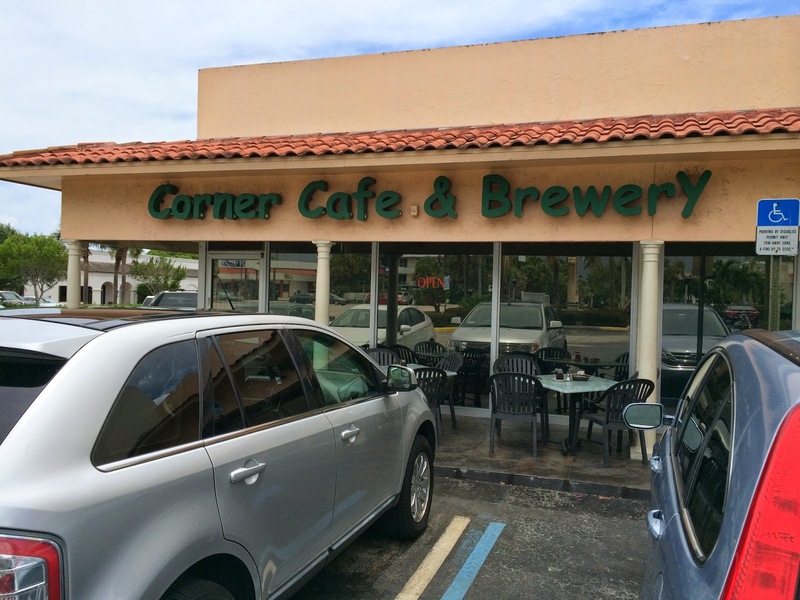 We asked about ordering food, and we were given the opportunity to order from Corner Cafe & Brewery right next door. I also asked about a tour of the brewery since their website said that was available if they had the staff to make it happen. And it just so happened that the other guy working was owner Matt Webster, certainly qualified. While we ate, Matt told us the whole history of the physical bar. And the story was awesome! Apparently, Matt's co-owner Fran's grandfather owned a bar in Pennsylvania, near Mt. Carmel. At some point, the bar was sold, continued on for a few years, but later closed. The physical bar was put into storage until Fran decided that they could use it in their new bar in South Florida. And let me tell you, this bar is awesome. From the long front bar to the intricately carved back piece and glass, this is a piece of history. Matt said that the original bar included a trough for spitting tobacco that didn't make the trip, LOL. But all the nicks and aging remain on the bar. 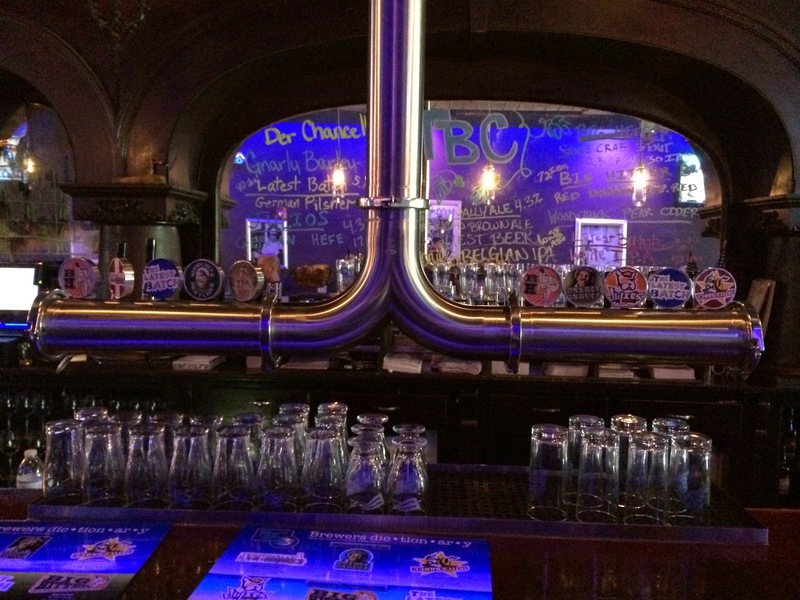 They also decided to bring the tap lines in from above the bar to avoid cutting into the bar to make room. Pretty cool! Oh, and that's about when we finished our original flight and Matt said he'd give us a tour of the brewery! Rock Star! 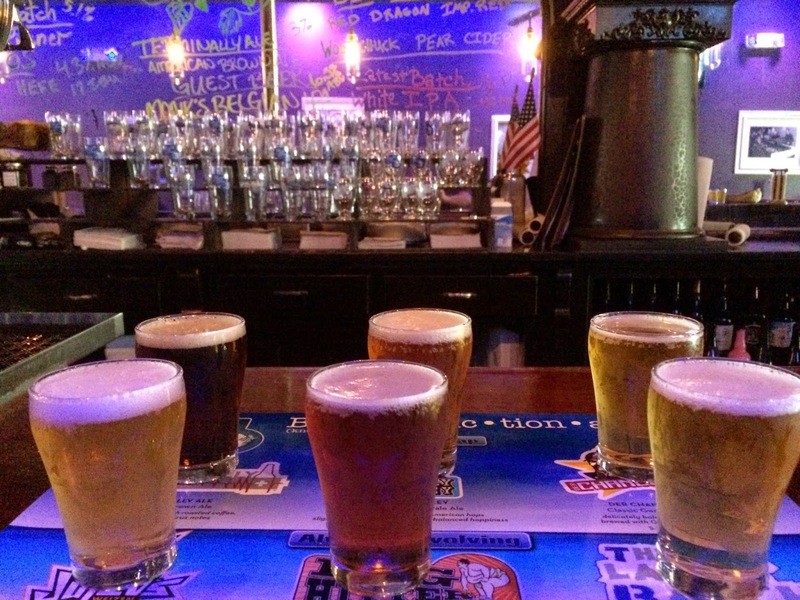 Back to the original flight, we chose 6 different beers, including 3 of their core beers and 3 others of choice. I'm not sure if the German Pilsner we started with had a name, but it was nice, clean, full of flavor and my wife loved it. One of the other beers I chose was a White IPA, which was cleanly bitter and full of wheat. My wife didn't really like the "cider finish" so I drank the rest. Der Chancellor German Kolsch was next. Was very enjoyable and "better than the German Pilsner." We then tried Terminally Ale Brown Ale (on nitro), which is the beer my wife wanted to check out the most after reading the mention in Florida Breweries. For me, their Gnarly Barley Pale Ale was my favorite, and I ordered a full glass later during our tour! Great fruit flavor, rich, bitter. My wife said "perfumey" and she was right (for once)! Last beer in the half dozen was Imperial Red (again, not sure if it has a cooler name). Spicy, caramel throughout, rich nice flavors, lingering pleasantness on the palate. I liked this one too! So I'm drinking my pint of Gnarly Barley when Matt starts the tour and shows us to the Barley Room (it had other grains too). 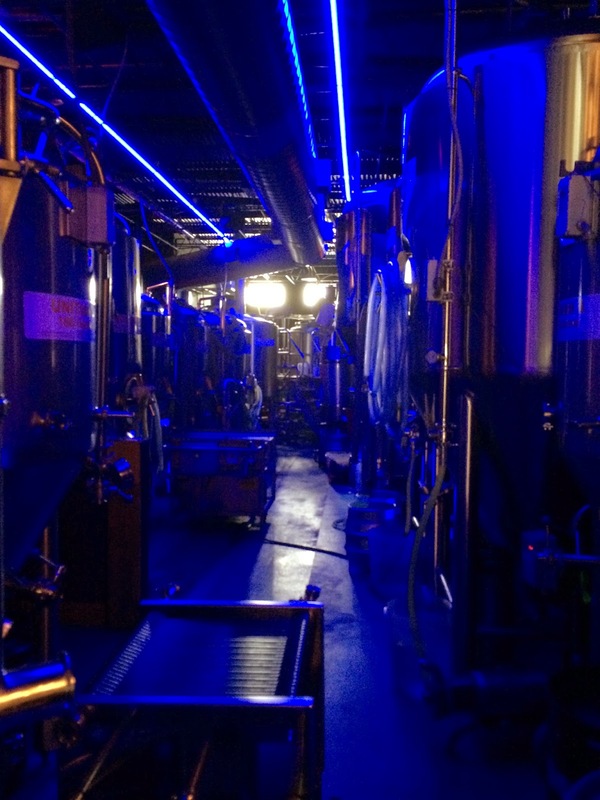 This brewery is totally maximizing space, in innovative ways, taking grain to the tanks via ceiling tubes. 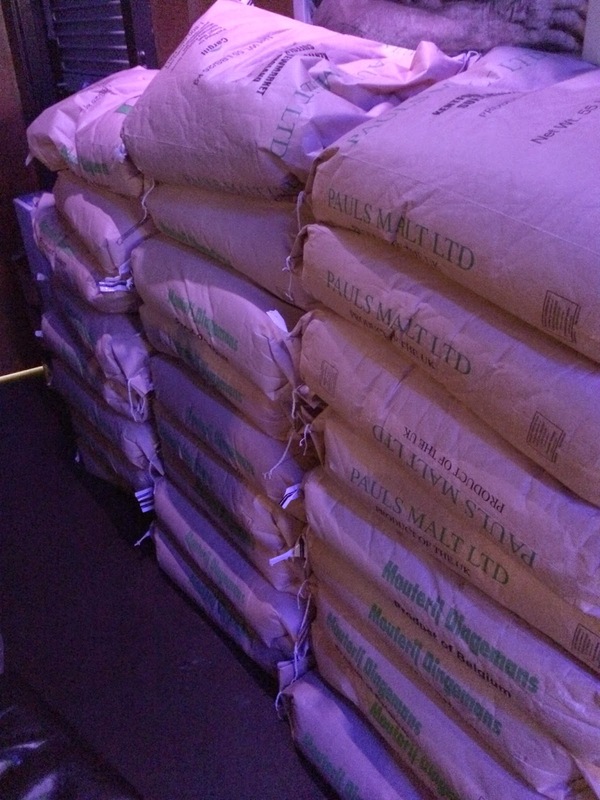 Matt had us smell two different grains to compare--bready versus roasted chocolaty stuff. Pretty fun to see how different barley can be! 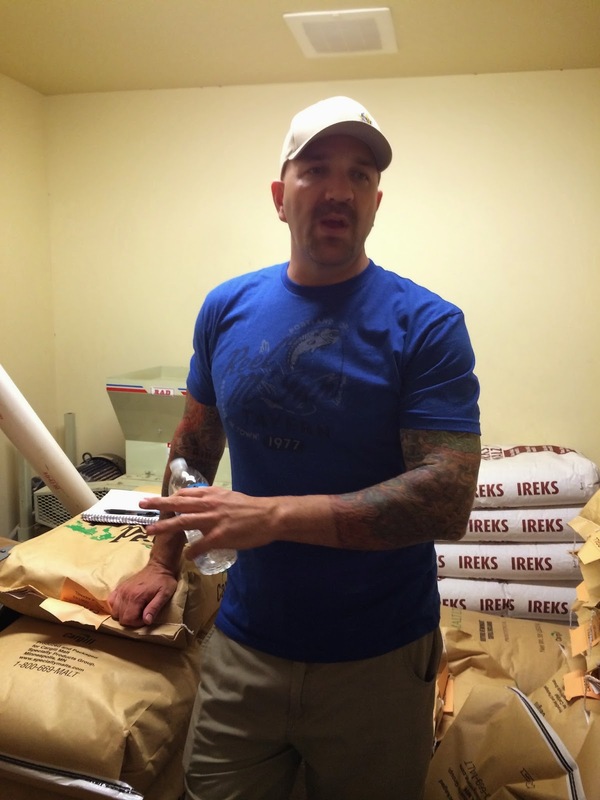 Matt then told us about his 5% job as brewer and 95% job as janitor! He said they spend so much time keeping the tanks clean and critters out, and then stressed just how important that part is! Sounds romantic! Maybe even, The High Life! 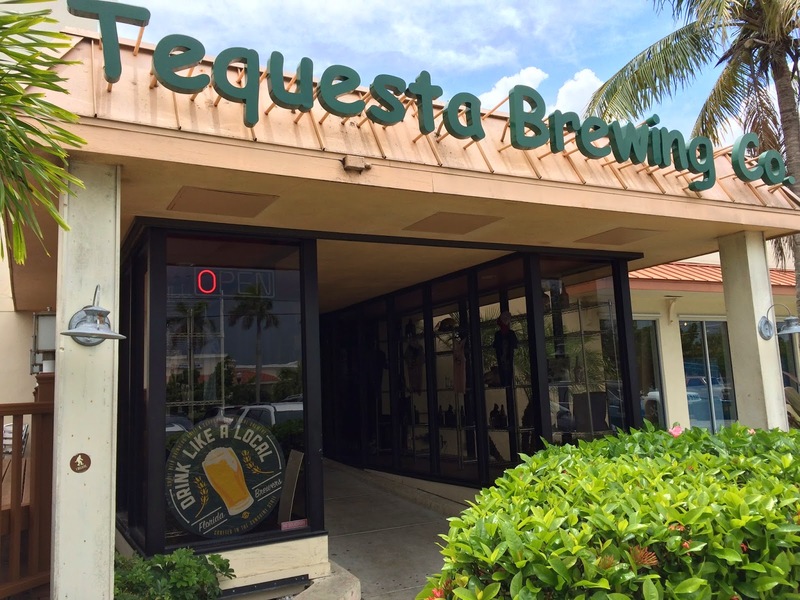 We learned about the brewing process at Tequesta and that they are opening a new 5800 sq. 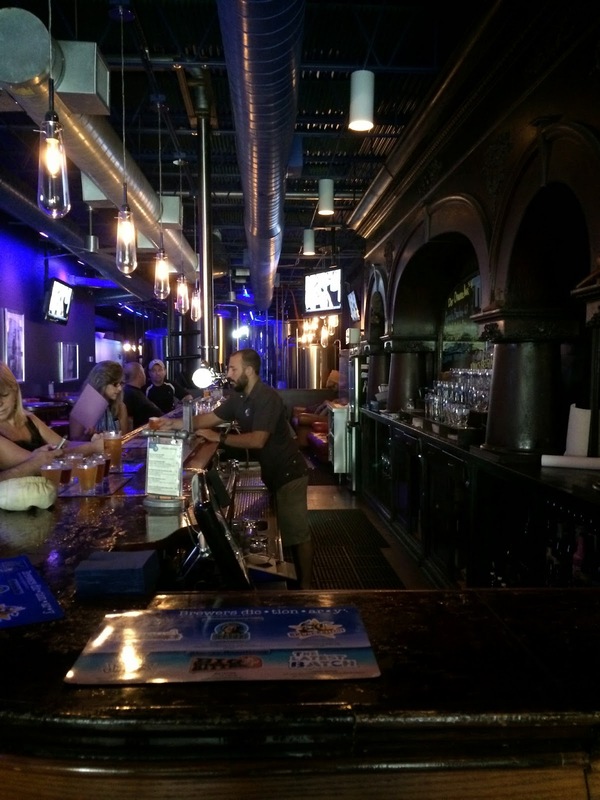 ft. sister brewery in Palm Beach Gardens pretty soon, called Twisted Trunk. That brewery will take some of the capacity issues off of Tequesta and produce 2.5 times the volume. 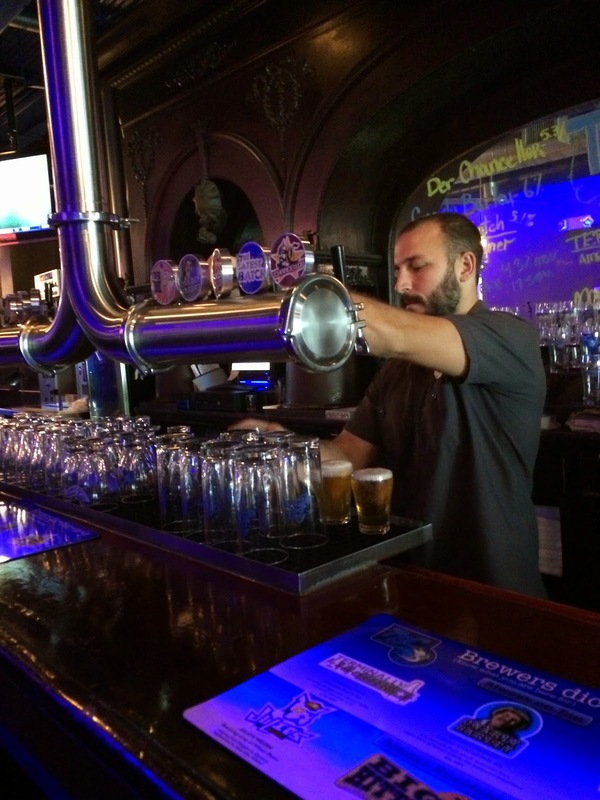 So adios to the 5000 kegs and 150 Palm Beach places that only serve their beer! And that was the end of #EpicBeerSunday stop #1. 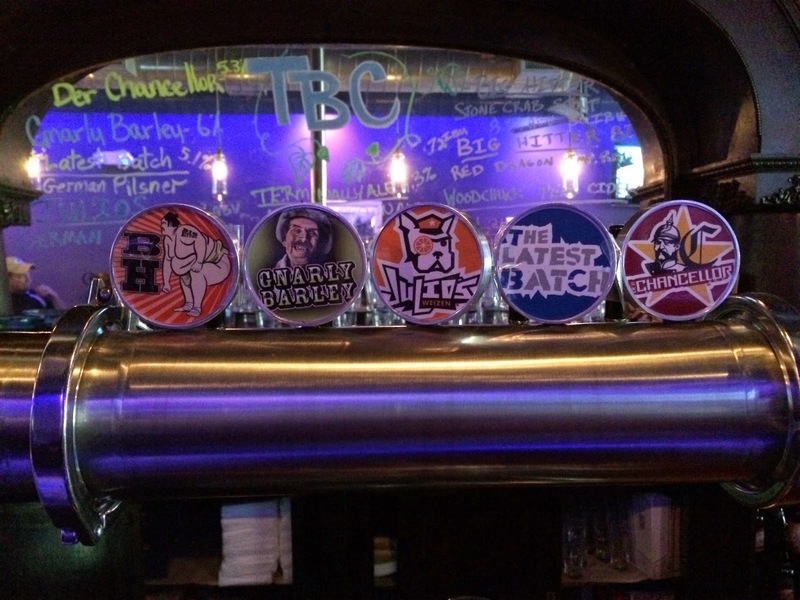 Tequesta was a great first stop, lots of history and stories and very nice beers. Again, I tip my hat to Gnarly Barley while my wife was more of a Der Chancellor Kolsch kind of drinker. And the tab for what we got was awesome. You should totally be there right now! Stay tuned for part two of #EpicBeerSunday at Due South Brewing.